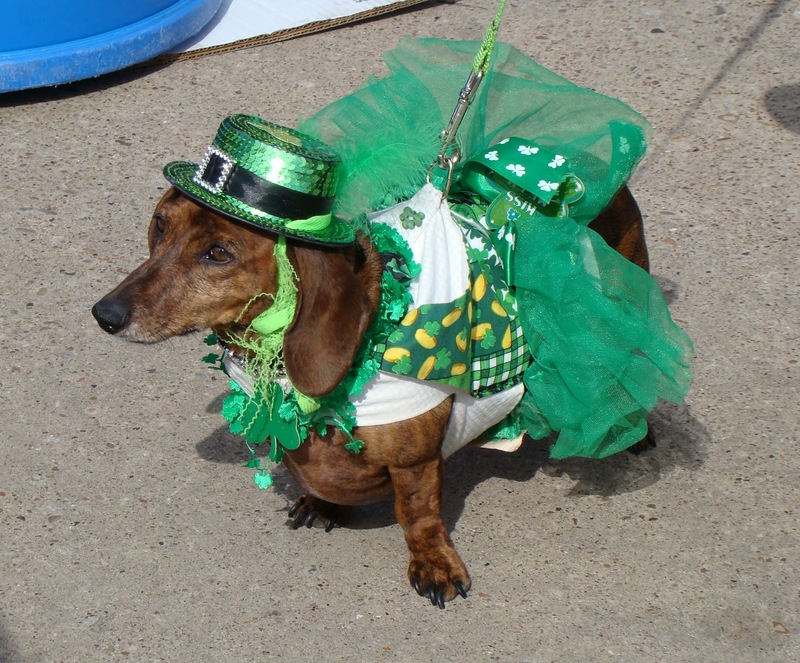 Alyssabeths Vintage: Happy St. Patricks Day! Happy St.Patrick's Day to my Irish and Irish at heart friends! What is it about those of us that are of Irish or Scottish decent that we always seem to homesick for the homeland? I'm not sure what the answer is, but I do know that I am defiantly one of those people. It amazes me that my ancestors left Scotland in the mid 1600's to settle in this new world. How did they leave their families, their beautiful country? I cannot imagine how difficult it was to make the choice, to survive the voyage or how they were able to get a footing and thrive in that wilderness of this new land. And yep, I'm also one of those people who has tears in her eyes and wells up with pride of my Scottish and Irish ancestors whenever a parade of bagpipes passes by. Every year we always look forward to the N. Texas Irish Festival, which was held March 2nd. 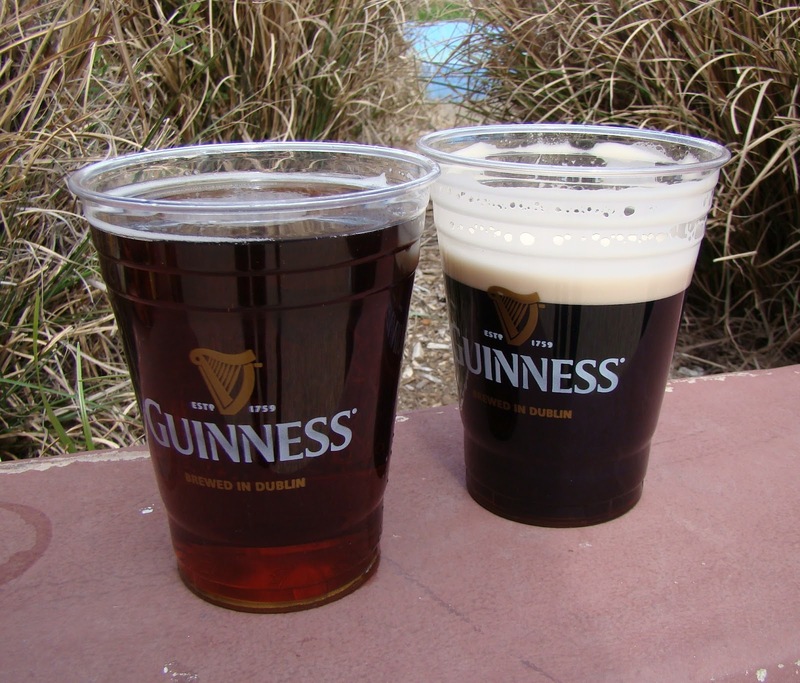 It's day of warm people, wonderful music, hearty food and of course creamy Guiness beer! 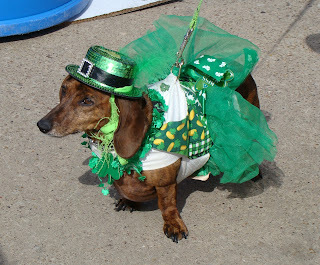 And there is always the people watching, like the person who belongs to the little Leprechaun Dachshund, he was about 6' 4" and dressed like a Leprechaun as well! I just had time this morning to browse through your blog. I love this post. 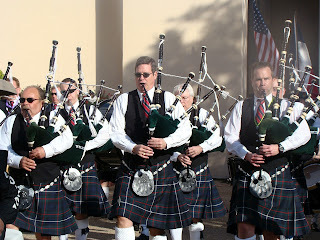 My son is a bagpiper!